Yay it's Friday! Today is also Sandie from London Days birthday! Nonni and Lynn are having a birthday linky party for you today and I am so thrilled to be participating in it for you. You have always been such a sweet and supportive bloggie friend. I love how through the difficulties we both face we were able to connect last year. I hope that you have a fabulous birthday today and a wonderful year ahead my friend. 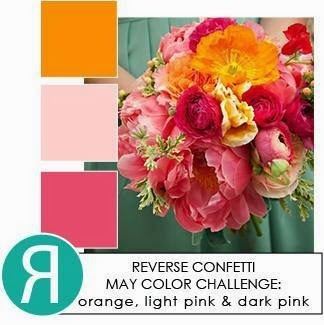 I made a card for you using the these fabulous colours from the May Reverse Confetti Color Challenge. 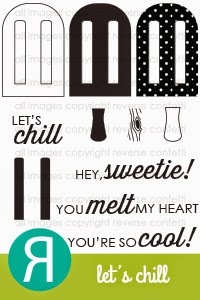 I can't get enough of the new Let's Chill stamps and dies and got to work on my white popsicles with some ink blending. I didn't have enough foam daubbers so I used triangular make up sponges. Starting from the bottom I inked in orange, then moved on to the dark pink then light pink. I went back over where to colours met first with the darker shade and then the lighter shade. Eeeek! Tracey, this caught my eye right away over on Facebook this morning! I'm in love!!! Sigh...that means I'm going to have to pay a visit to Reverse Confetti, however. LOL! What a perfect card for upcoming summer! :) Thanks for the inspiration!!! I LOVE this! It was over 100 degrees here yesterday...in MAY! One of those really well blended popsicles would have been just what I needed! Love this card Tracey. 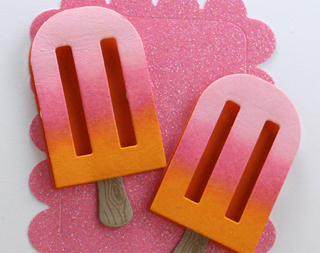 Such a great idea to blend the colors with the popsicle images. Oh goodness, Tracey. This just makes me smile all over. LOVE those colors. Tracey...this is just about the yummiest popsicle ever. I can just imagine the wonderful fruit flavors in each layer. I am sure Sandie will love her sweet birthday treat. Fabulous card! SERIOUSLY cute, Tracey! Your gradient color is amazing and the sparkly love note is spectacular!! YUMM-O! Oh, this is so fabulous, Tracey! I love it! Wonderful job with the colour challenge! Such a cute card. I love the ombre effect and the fun sparkly paper. Our meeting in blogland was very special to me too. Times can be hard yet having crafting buddies like you sure helps and brings comfort. You are a special person and I thank you for my adorable cards...plus I love lollipops as we call them, especially cider flavoured ones!! This just makes me smile Tracey, VERY cute!! Tracey! this is just THE cutest card! love the colors and sweet/cool popsicles - SO fun!! Beautiful! So bright and happy...and the inking is perfect! love the color on the popsicles! Tracey, these look so yummy I want to eat them right off of the computer screen! Fabulous card, Tracey. Thanks for all of your blog love! wow this is fabulous.. love the blend of colors and the glitter die cut..
Tracey, this is such a fun card. I love those Popsicles. I can see why you can't put them down. Such a fun card for Sandie! What a fun & yummy card! Love the touch of sparkle! Sooooooooo cute! LOVING the colors!!! Oooooh! Just got my first ever order of RC stamps! 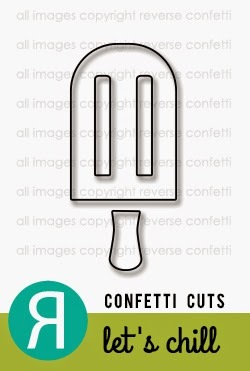 I will try to play along :) LOVE this card, the popsicles are adorable! Couldn't be cuter--love it!! The colors are so yummy and you did an awesome job with the shading! Fabulous inking - they look good enough to eat. Super cute! i bet Sandie loved this fun card! This is amazing, Tracey!!! 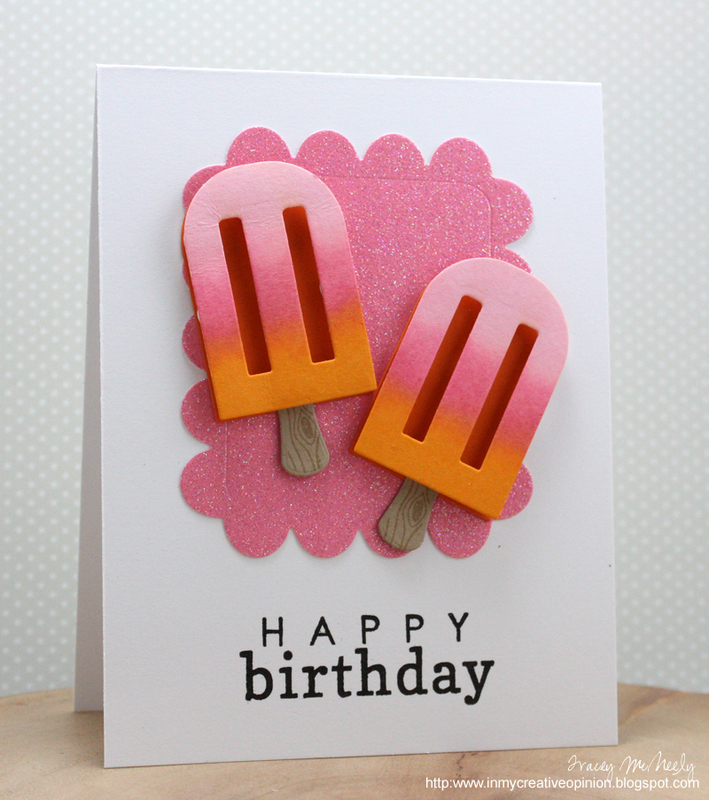 I love all the sparkle on your scalloped background, and the popsicles are so fun! Beautiful inking/blending, too...Love this card! How adorable are those cute little Popsicle's. Makes me want a real one right now! The popsicles look great and I love your sparkly background!! WOOOOOOOOOOW! This card is AMMMMMMMAZING! LOVE your mix of inks for the popsicles! WOW! LOVE your glittered background and the CAS design! You NAILED this color story! FAB! 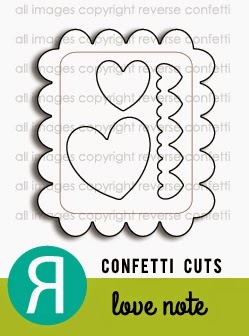 Love this card happy, bright and fun great use of the die cuts! This is sooo EYE CATCHING!!! It looks delicious enough to eat. LOVE this card!